Domain name business is one of the most lucrative business in today’s date, and now Google is in the news for launching their domain registration service. Google used to offer domain buying service via 3rd party services like ENOM and Godaddy in the past to support Google apps for business and custom domain name service on BlogSpot. On 24th June 2014, Google announced its domain registration service with the name “Google Domains“. 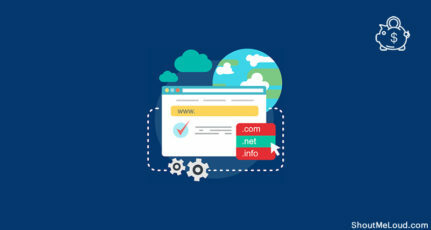 Google domain registration service is at an infant stage and it will take time before you can take advantage of their domain registration service. For now, I will share about the features of Google domains and link to ask for Google domains invite. 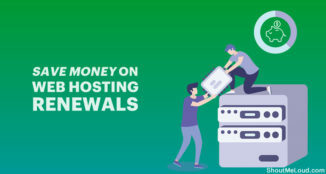 As I mentioned above, this is not the first time Google is dealing with domains, but as a domain registrar; this is the first time, users will be able to buy domains directly from Google. Who.is guard or private name registration is one useful feature that Google domains are offering for free. 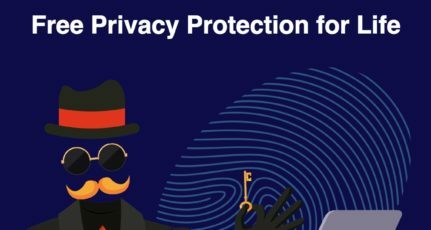 If you are not aware of who.is guard service, here you can watch a video to learn everything about it. Free private name registration will be free when you buy a domain or transfer a domain from other domain registrars to Google. 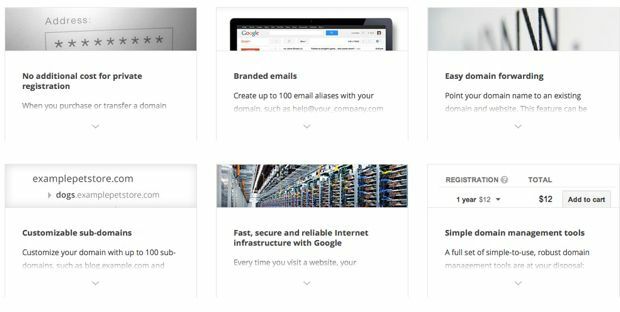 This is the most lucrative feature of all, as with this you can create 100 email aliases with your domain name, and forward it to your Gmail account. I’m still looking for more information on this, as I’m not sure if Google is going to offer branded domain emails via Google apps or will it be different from Google apps. Google apps for businesses used to be free in the past but now it’s paid. You can find a detailed tutorial on Google apps for businesses over here. This is another common and useful feature for every domain owners. Using this you can forward a domain to another domain name. For example, if your main site is xyz.com and you have another domain name extensions like xyz.net, xyz.in, you can forward the other domain extensions to .com or vice-versa. This is one standard feature offered by all the domain registrars. From the usability point of view, domain management tools will make the life of domain owners easy. With Domain management tools you can edit your domain A record, CNAME, name server records easily. I’m also hoping that Google will integrate domains with its other services like Webmaster tool, Google tag manager to make the life of a webmaster easy. It has already mentioned about this feature “Use Google Synthetic Records for integration with Google App Engine, subdomain forwarding and Google Apps services”. 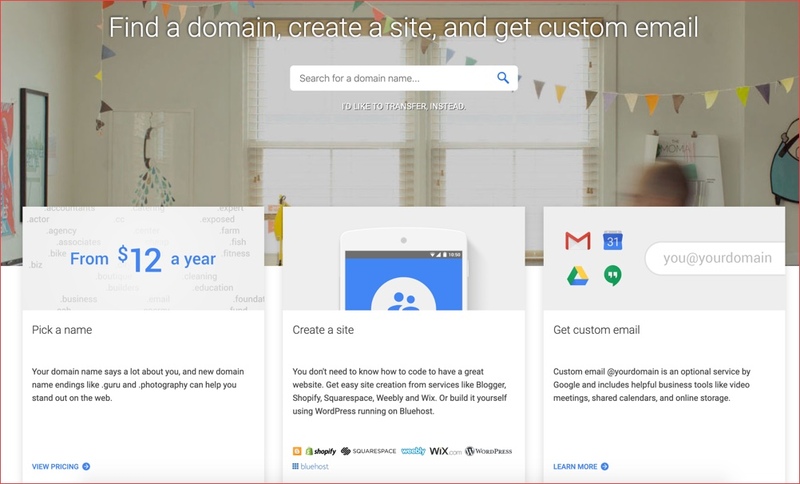 Google domains are also partnered with many popular website builders like Shopify, Squarespace, Weebly, and Wix.com to let the user create beautiful websites with zero technical experience. 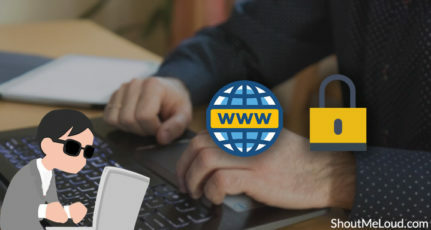 Along with this, you will be getting all standard features offered by popular domain registrars like Domain locking, customizable sub-domain to name a few. As an end-user, I’m pretty excited to see another big player jumping into domain business. This will indeed help us to get better service and more competitive price. 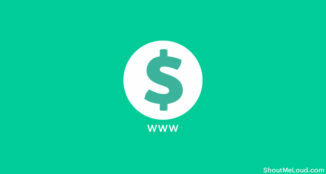 Google is supposed to charge $12 for .com domains which are almost the same as other popular domain registrars. Thank for this article! I’m following Google+ For Your Business circle but I missed this great new stuff from Google. Now the PageSpeed module makes sense. I think they will offer it as an optional stuff with the domain. This feature is what google must have now. As there is already Godday leading the Domain services, it will be challenging for Google to exist at initial stage. Hope google will launch this services with some discounts and features. Domain forwarding facility is very interesting. Awesome. Will be switching our work domains over as soon as we can get access, and I’ll be switching my domains over as soon as I can get access. I’m kind of hoping they’ll include/integrate it with Google Apps for Business as well, because that would make my life about a million times easier. This is something very interesting news because now Google looks to dominate the path on which internet depends that is domains. I think days are not far when we can hear about google hosting too!! It is looking to provide all round service and getting more customers for its adwords. From domain to cpanel it wants to be everywhere and I think this was the main area where its dominance was not there. Right now there is no news about Google launching hosting services. For now, it’s getting into domain business only. I must use Google domain service, because it is even better than comparing other Service. Whois privacy, Gmail for Business and I believe Google App engine support their own Custom domain service. I’m really happy to hear about a Good News, Thanks 🙂 . 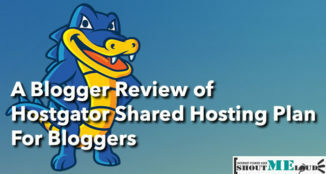 Thank you for sharing wounderfull article with us …but i think godaddy is good plateform of buying domain and hosting …by the ways good effort Google ! is the Purchasing Process in just same like GoDaddy or Some Other Things are also use ? Google Domain service is not fully featured yet. currently You need invitation code to use Google domains. Google spreading hands on the whole IT Business step-by-step.Did this new business will anyhow help the business of the websites in terms of seo? Thanks for helping. Hello Harsh, can you possibly tell exactly how much branded domain name email addresses would be provided with each new domain? And also how to get an invite if possible! You will be getting 100 branded Email addresses/domain. I must have taken my eyes off the net for a while, because I did not see this coming until they launched recently. Google really do like to stick their fingers and toes into as many different avenues as possible don’t they. Woo………….. It’s a great news for us. Domain from Google means best domain service as I know. Harsh bro can we get free hosting service from Google by buying domain from them? If they offer top notch support I think many will be on the way of moving to Google soon. I’ll be one of them! 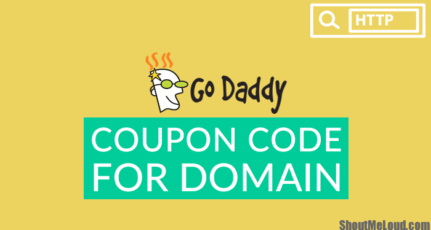 Start hating GoDaddy due to fact they cancelled all renewal coupons codes.